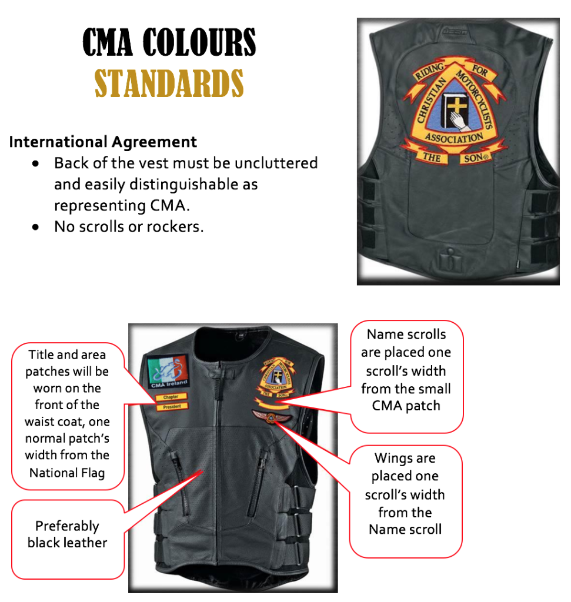 Christian Motorcyclists Association of Ireland. 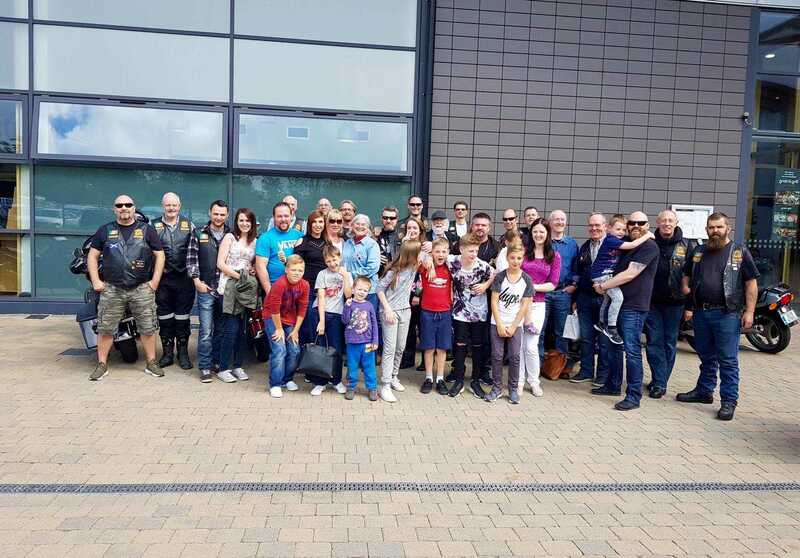 Our aim is to share the love of Christ Jesus to Motorcyclists, and whomever we meet. We encourage our members to be active in their Christian witness within CMA and to fulfill what the Lord Jesus has called them them to do. We all come from different backgrounds and our upbringings are different. Yet each one of us has a passion to try and show something of what God has done in our lives. Visit our facebook page to view all our news and updates. Triangle Shape = Father, Son and Holy Spirit. Praying Hands = The way God would have CMA grow. Cross = The message and statement of faith (I Corinthians 2:2). Bible = God’s direction for CMA. Blue Colour = The way of the cross leads home (to Heaven). Yellow Colour = The crowns and rewards that will be for the faithful Christian. Red Outline = The blood that makes everything it encloses effective.